Dart Big M 9.800 deck height. 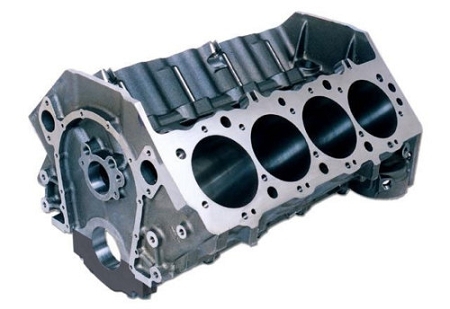 The Big M Sportsman block gives you the versatility to build a wide variety of engine combinations. A true priority main oiling system oils the main bearings before the lifters for extra reliability. 4.250-4.600" Available bore sizes with siamesed extra thick cylinder walls to resist cracking and improve ring seal (minimum .300" thick with 4.625" bore). 4 bolt ductile iron main caps have splayed outer bolts for extra strength. Coated cam bearings, freeze plugs and dowels are NOT included.